But all that changes when an IED takes the life of two comrades and leaves Riley an amputee. Now he’s heading home, injured and troubled. His plans to win Paige are a distant dream. She deserves so much more than the man that’s left. All he can do now is put some healthy distance between them. But upon his return he discovers his family has arranged for him to stay with Paige. As the weeks wear on with the two in such close proximity, Paige’s feelings for Riley begin to shift into unchartered territory. Why is she suddenly noticing the corded muscles on his arms or the way his lips curl at the corners? Will she be able to deny her feelings for another Callahan brother? And will Riley let his heart heal so he can let Paige in? 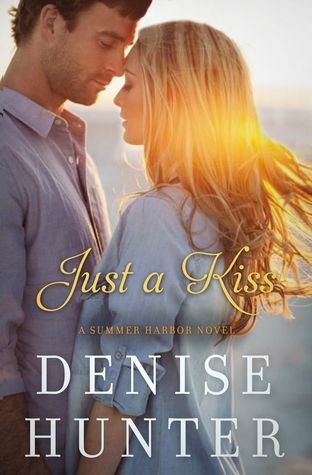 I read this as a standalone and have not read the other books in the Summer Harbor series. With that being said, I don't really think I was missing much having not read the other two books. This book was slow and predictable. Riley is a veteran and an amputee. He comes home only to find that his family has pretty much pawned him off on Paige, his best friend since childhood and the girl he's supposedly been in love with for years. Riley is not happy with the situation but Paige is more than willing to help. She's been harboring feelings for Riley also...but that didn't stop her from dating his brother and flaunting her current relationship in front of him. I found these characters pretty bland and boring. Paige is a pushover. She hangs out with the Callahan family and puts on a happy face even though the brother she once dated left her for another woman. Paige acts like she's happy for everyone around her but meanwhile doesn't do anything to make her self happy. Riley doesn't really seem to care about anyone but himself and, even with that, he doesn't care about making himself better. The relationship between the two lacked fire. It was full of empty apologies and no action...and I mean that in every way possible. This book was also very heavy with religion, but it came in weird places and didn't always make sense to be in the place it was in. I struggled to finish this book, but I know it will be right up someone else's alley. So, happy reading? 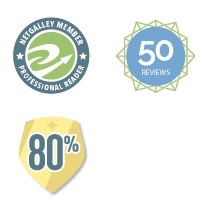 Thanks to NetGalley and Thomas Nelson Publishing for the ARC in exchange for an honest review.